An important aspect of encouraging Scholars to push through the hard, but rewarding work of studying STEM content is by providing them with diverse role models. Particularly important are role models to whom they can relate to ethnically, economically, or by gender. This helps to breakdown many of the stereotypes that the Scholars have learned from other aspects of society about who belongs in a particular line of work. As the saying goes, “You can’t be what you can’t see.” We think of mentors in two different ways: (1) Mentors in very close proximity to the challenges our Scholars face (i.e. kids around their age), and (2) Adult mentors that have overcome some of the challenges that our Scholars face or will face in their study and career. Cultivating leadership skills in our Scholars is one of the organizational goals of OpenWise Learning. We do this by providing our Scholars opportunities for leadership with team work, extended project work, and mentoring other Scholars as peers. Every year we invite a number of the Scholars who graduate from our OWL Immersive back to our Immersive to mentor and help the new cohort. Our Scholars impart the knowledge and skills they have learned in our OWL Immersive and our OWL Academic Year Sessions to a new class of OWL Scholars. Our second year Scholar’s experience and leadership help to ease the way for the new additions to OWL. We work to develop a diverse group of STEM mentors to work with our Scholars. We look for mentors working in different aspects of science, engineering, technology, and math who our Scholars can connect to on a cultural level. We encourage our speakers and mentors to be supportive, to be active listeners, and to lend their authentic perspectives. 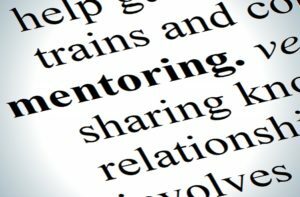 If you are interested in becoming a mentor please contact us.